Basharat, Mo and Mahmood began their quest in the highly competative London restaurant scene. 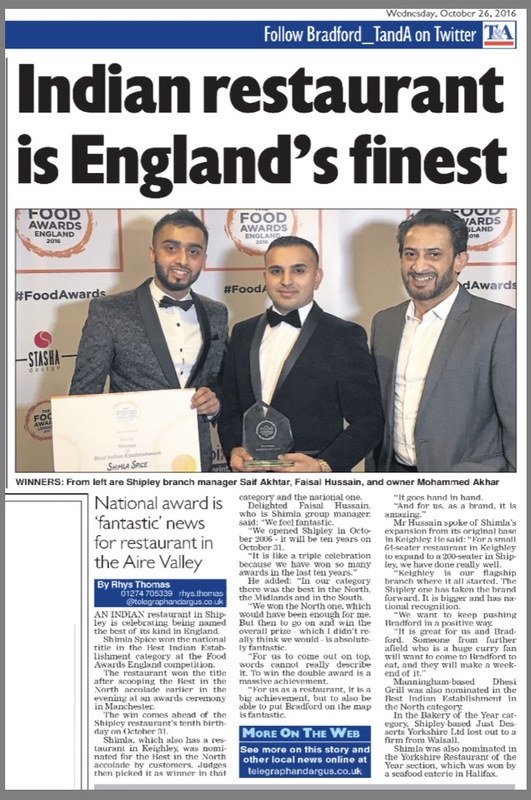 Having worked their way up from sink to Head chefs and resataurant managers, in 1998, they felt it was time to come “home” to their roots in Keighley and setup their first eatery. X Factors Chico at the opening PartyIn October 2006 the brothers spread their gastronomic wings with the opening of their second branch in Shipley. The opening was attended by Chico of X factor fame.